You may remember Trickbot, the financial Trojan that made its appearance in the past targeting a lot of US banking companies, including big names like PayPal. Authors of Trickbot are persistent and continue to find new ways to harvest users’ valuable data. Recently, researchers discovered this spam email campaign in which malicious actors have decided to resort to spoofing Dropbox. Security researchers analyzed a new spam email campaign delivering the Trickbot malware that claims to come from the legitime Dropbox website but actually coming from a look-a-like site. This TrickBot variant is linked to the main bot that has the id (given group tag) “tt0002”, and the version number 1000147. It comes with several modules, including configuration files in an encrypted form. With the help of a COM server, it creates a “task” that can execute the Trickbot payload after a restart of the machine via “AppData \ Roaming \% client_id%”. Trickbot uses the API “GetNativeSystemInfo” or “wProcessorArchitecture” as it uses to determine whether it is 32-bit or 64-bit environment / CPU. Heimdal Security proactively blocked these infected domains (and malicious emails), so all Heimdal PRO and Heimdal CORP users are protected. 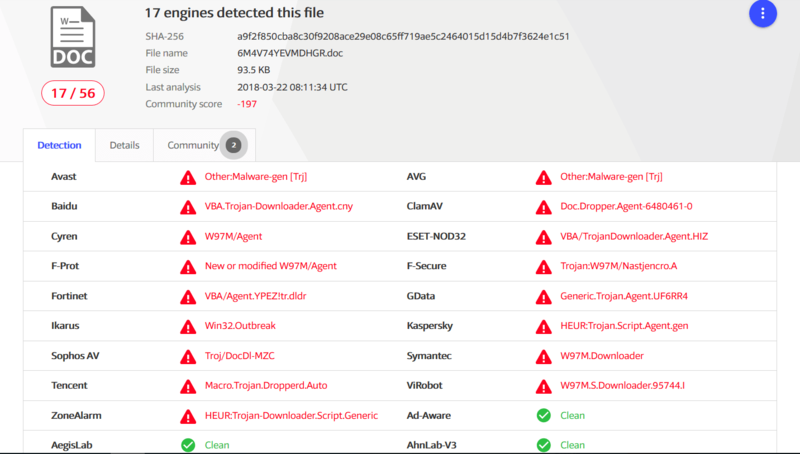 According to VirusTotal, only 17 antivirus products out of 56 have managed to detect this spam email campaign at the time we write this security alert. Trickbot is known for its banking trojan features and the various ways used by cyber criminals to steal users’ personal information and harvest their sensitive data. Always have your operating system, and all your apps and other software programs, updated because it’s the first place where malicious actors look to exploit flaws. Prevention is the best cure, so you should learn as much as possible about how to easily detect spam emails. These free educational resources might help you gain more knowledge in the cybersecurity landscape. Using windows 10 OS computer system is a very interesting idea but you need to know everything about this like where to find internet explorer in windows 10 to get a high quality web browser. Learn with this Homepage and browser faster.